March 16-18, 2018 marked the first-ever ASEAN-Australia Special Summit. 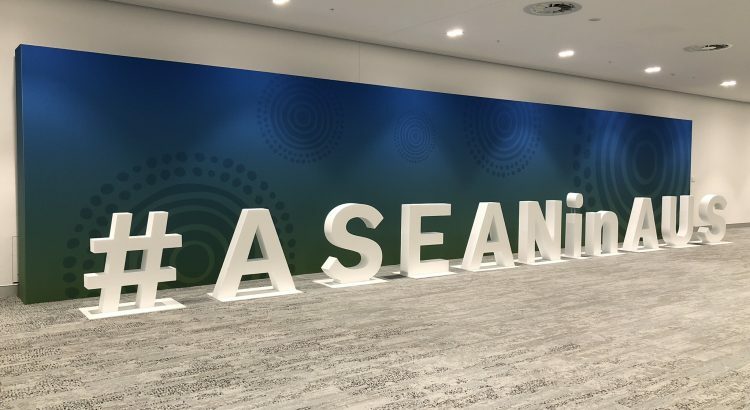 Leaders from ASEAN and Australia met to discuss vital issues affecting the Asia Pacific Region such as cybersecurity, counter-terrorism and free trade. The CEO Forum Roundtable and Lunch, and The Leader’s Retreat. The Congress Rental Australia team overcame several complex challenges, such as planning for the 24-hour lockdown that prevented all equipment from entering the ICC after the first meeting had commenced and running cables across multiple floors at the ICC. 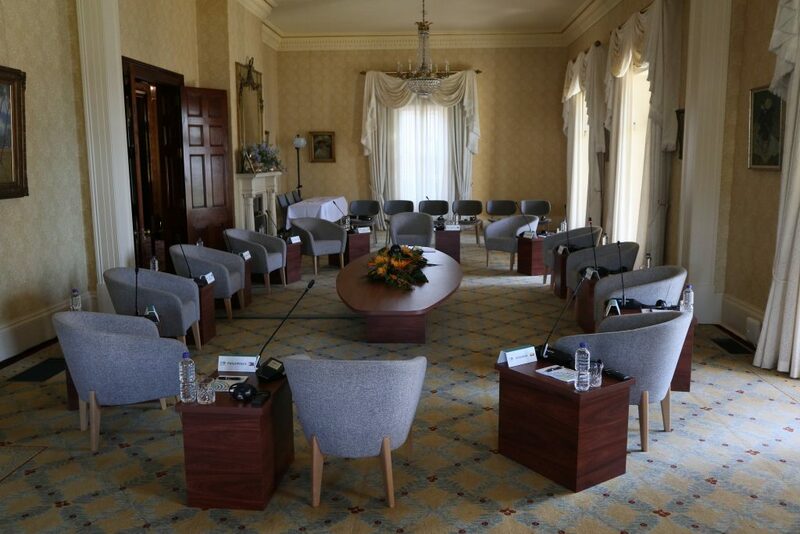 The team utilised their own equipment, as well as equipment imported from the CRN member in Singapore and Germany, to produce a seamless, error-free event. 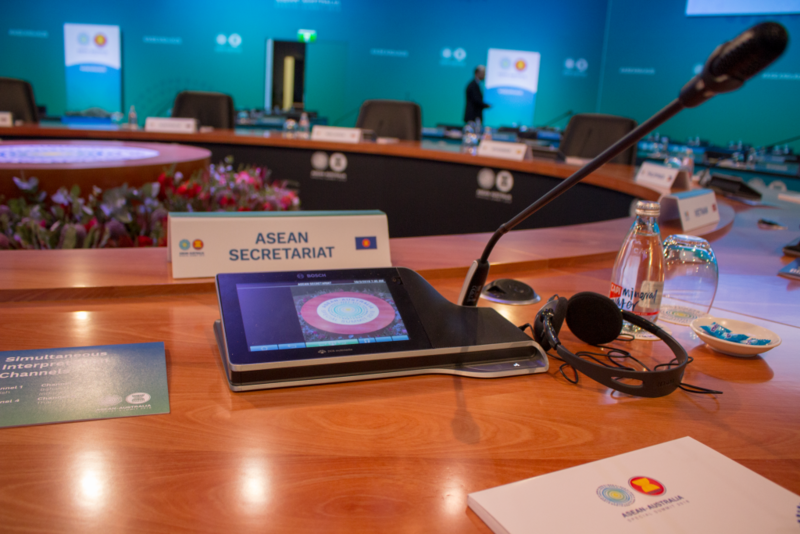 The Leader’s Plenary was the heart of the ASEAN- Australia Summit. The meeting was attended by the Leaders from over 10 different ASEAN countries, and Australian Prime Minister, Malcom Turnbull. 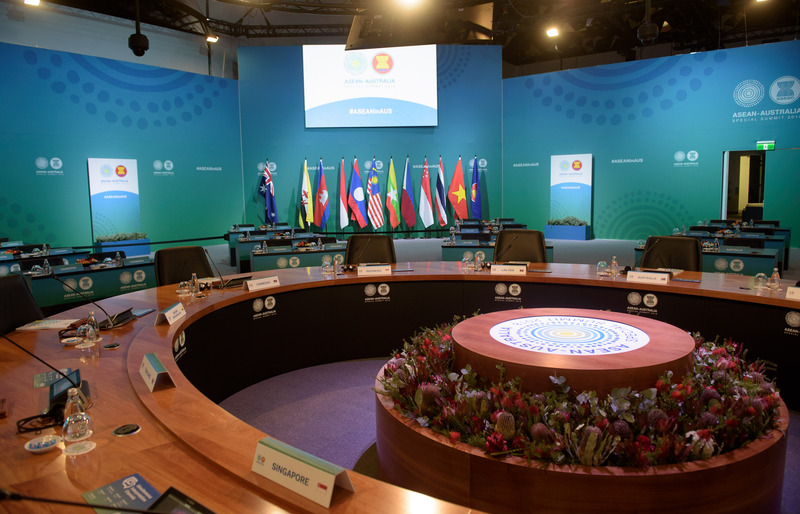 The Plenary was laid out in a circular shape, with the oval table in the middle hosting the main leaders of the Summit. Each leader at the oval table was given a Bosch Multimedia Microphone, which enabled them to listen to an interpretation audio feed based on their language preference. 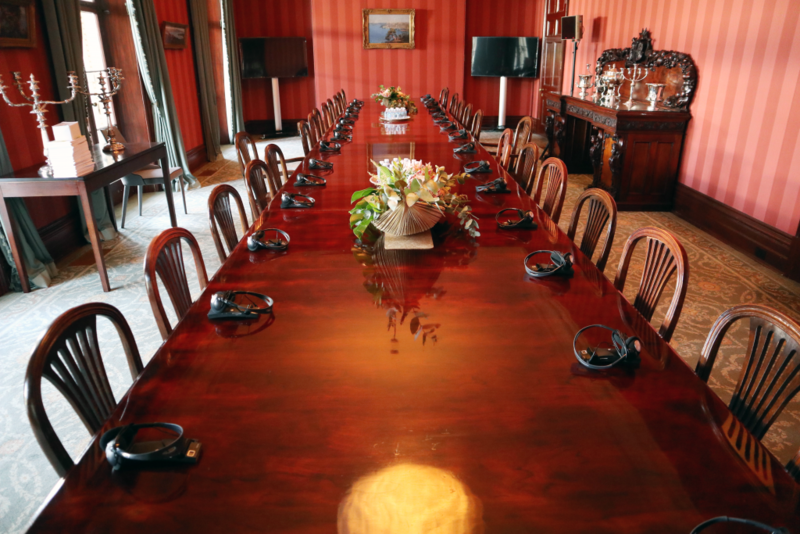 The other leaders were stationed at tables in rings around the outside of the oval table, with Bosch Integrus Receivers and headphones so they could receive the interpretation for their language of choice. In a large room parallel to the main meeting, 10 three-person Audipack interpreter booths were installed. Interpreters were also given a video feed of the current speaker on LCD screens placed in front of the interpreter booths. The video feed was captured via Bosch Dome Cameras that were hung from the ceiling above the plenary. Each time one of the Leader’s activated their microphone to speak, one of the four 360-degree Bosch Dome Cameras would move to automatically focus on the speaker. 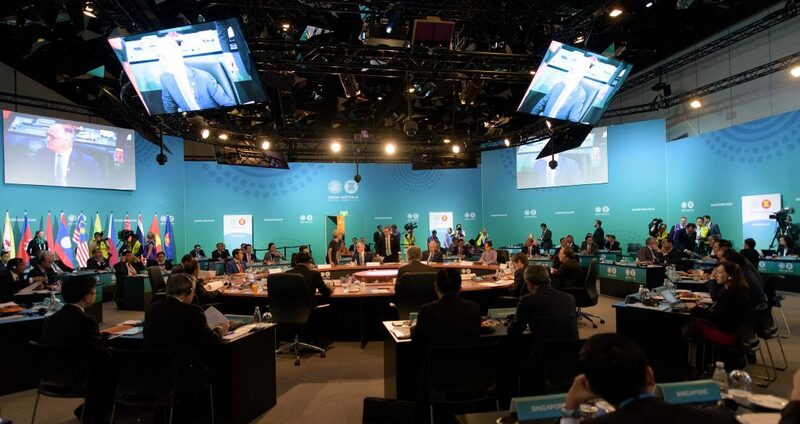 The Counter-Terrorism Conference was an interactive meeting held the day before the Leader’s Plenary. The speaker’s tables were constructed in a u-shaped configuration, with a wired Bosch Dicentis microphone installed for every speaker. Two 360- degree Bosch Dome cameras were built into the centrepiece to provide a visual display on the projector as they activated their microphones. 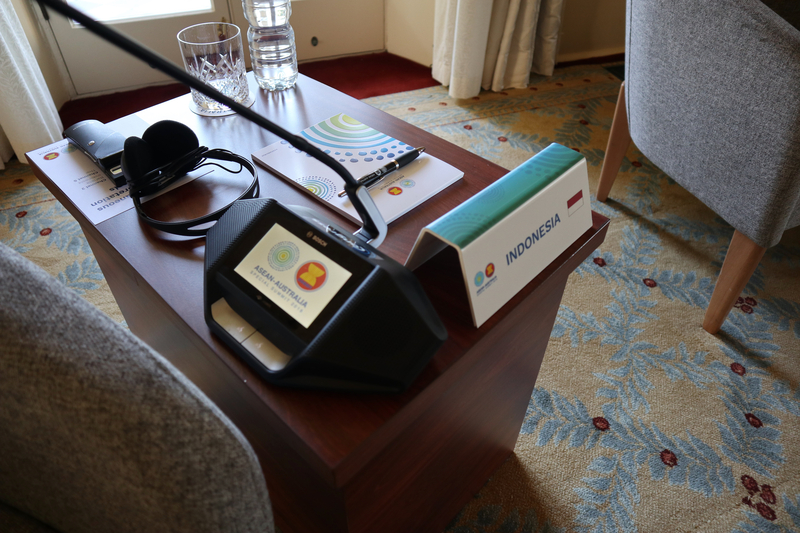 Similar to the Leader’s Plenary, seven soundproof Audipack interpreter booths were installed in a parallel room, facing a projector screen that displayed the conference. Languages interpreted were English, Bahasa Indonesian, Lao, Khmer, Thai and Vietnamese.